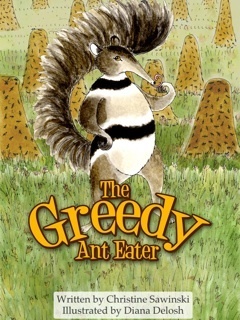 The Greedy Ant Eater written by Christine Sawinski, illustrated by Diana Ting Delosh, published by Farfaria. Clever Ambrose figures out a way to get more than his fair share of ants. © 2012 Farfaria. Try it at FARFARIA for free.